Enter Bakura Ryo. On the surface he is a very nice kid. He just wants to play games with some friends, but it would seem that is not so easy for him. Bakura has a Millenium item called the Millenium Ring and the spirit that accompanies the item isn't a very nice one. Dark Bakura is the kind of spirit that will imprison your soul in a miniature doll if he beats you in a game. With many people falling into a coma after playing him it's no wonder why Bakura doesn't want anyone else to play with him anymore. However, he just happens to befriend Yugi and the gang and they decide to surprise him with their arrival. Yugi and his friends want to play a game and they won't take no for an answer. Too bad for them that they end up playing with Dark Bakura instead and they begin playing a Shadow Game without even knowing. One by one their souls end up getting trapped in their pieces and it is up to the pharaoh from the Millenium Puzzle to save everyone once again. As the two Millenium foes face off with lives in the balance it becomes clear that Yami Yugi isn't the only one with his alter ego in the game. 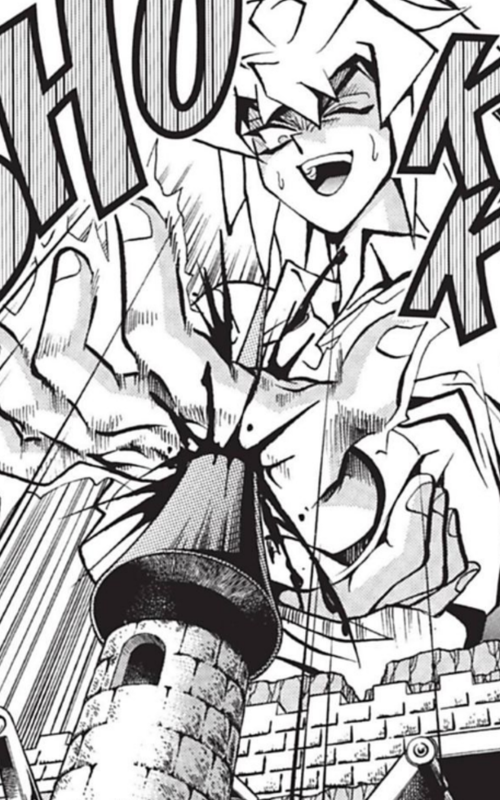 Bakura has successfully managed to incorporate himself into the game and little by little he is fighting back against the possessor of his body, but the spirit of the Millenium Ring is a tough dude. When Bakura tries to take control of one hand Dark Bakura swiftly impales that hand on castle spike. Ouch. It's gonna take a lot more than that to beat Dark Bakura. This is easily the best volume so far. It is essentially one long duel (albeit of the Monster World variety) but it's a good one. 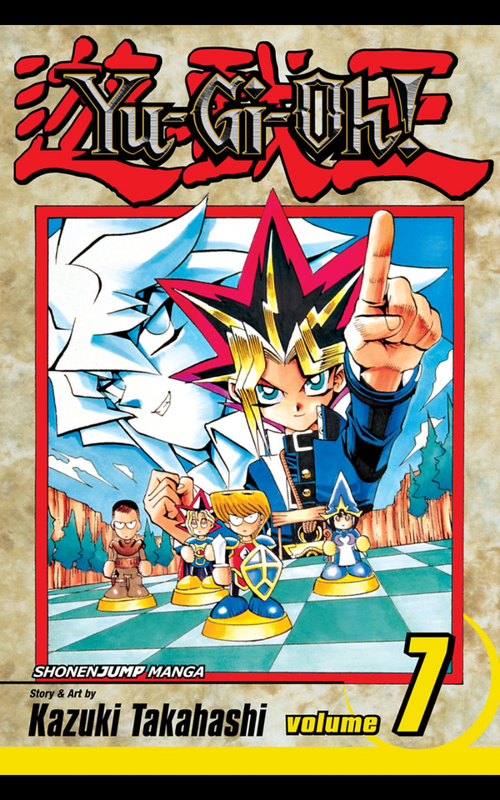 The volume actually concludes the first Yu-Gi-Oh! manga series. The next series is called Yu-Gi-Oh! : Duelist and it is there I imagine we'll meet a nice guy named Maximillian Pegasus. Can't wait.